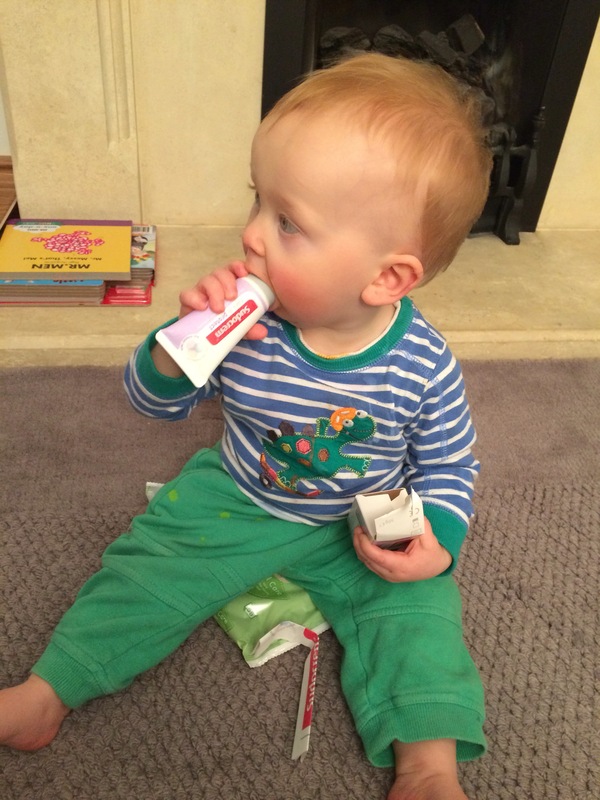 We happily accepted Sudocrem into our lives just over four years ago when our daughter arrived. The anti-septic cream that comes in the tub is all we have ever used on our children’s little botties. The tub, I will admit, lasts an incredibly long time and is good value for money and we have happy with its results – in that neither of our children have ever suffered with nappy rash. However, I have found, at times, the cream to be a little thick. I have only noticed this in the last year when I have regularly seen large dollops of it smudged across our grey carpet when my son decides to escape from having a nappy put on after his evening bath. Nightly, I have to follow the white Sudocrem trail that inevitably leads me to my son either rooting through the washing basket or in the bathroom signalling for one of two Spiderman tooth brushes to be placed in his little hands. Then I heard about Sudocrem Care and Protect. This cream still has all the caring power of Sudocrem anti-septic cream, but it is thinner and lighter and doesn’t leave a stain on your carpets! On a serious note though, it cares for your baby’s delicate skin and has been designed to use after every nappy change in order to prevent nappy rash from ever occurring. It’s triple action formula protects against rubbing and any irritants (of the wee and poo kind) and helps to keep your baby’s bum as smooth as a baby’s…err…bum. The whole purpose of this cream, I believe, is to prevent nappy rash from ever starting. I have been using the cream during each nappy change for a week now and am happy with the results. My son’s skin feels smooth and there has honestly been no sign of redness on his little bum at all. Sudocrem Care & Protect is packaged differently when compared to the anti-septic cream. It is packaged in a neat portable tube with a flip-top cap. My son will happily chew on the lid of the anti-septic cream tub while I change his nappy (in fact, the tub lid often stops him from flipping over and escaping…), but with the flip-top cap, I don’t have to worry about him either eating the cream, damaging his teeth or some how ramming the whole thing into his mouth – which, I might add, I have seen him try to do. The flip top cap…but will he try to eat it…? 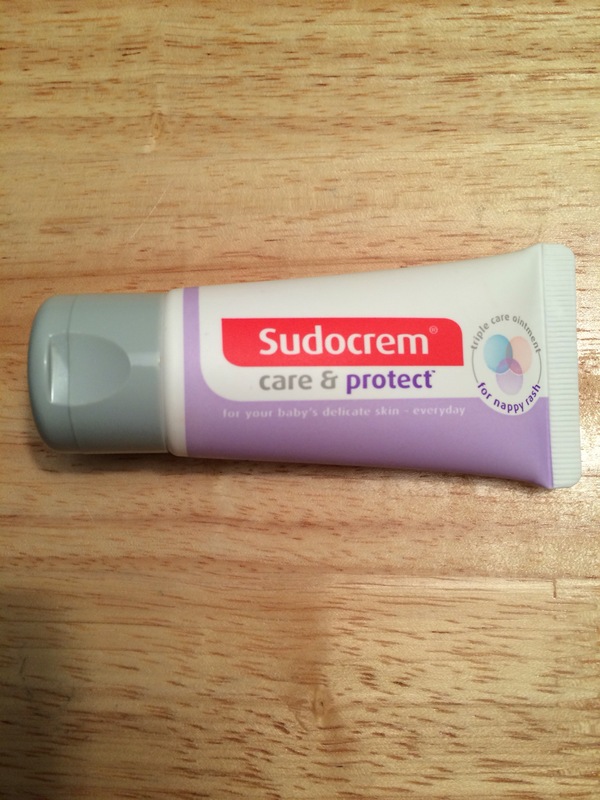 If you are looking for a cream that prevents nappy rash, that is lighter and easier to apply and doesn’t stick to your carpets and, indeed, your clean black work dresses, then I suggest you give Sudocrem Care & Protect a try.